Pet groomers and pet owners alike need to know the dangers of these tools so that they can be used responsibly and safely and so that owners can ask informed questions to protect their pets. The Facebook page Heated Cage Dryers Can Kill has stories and photos that will help drive this point home. Please share! Let’s get the word out to as many people as possible! We are publishing two blog posts from GroomWise.com. The first is from Debi Hilley’s Grooming Smarter, and the second is from Mary Oquendo’s Pet First Aid & Care. Each addresses Heatstroke Awareness 2015, and you will find additional blog posts by these authors with more detailed coverage. While you are there don’t miss Christein Sertzel’s GroomWise™ blog, Smartstyling which also has information about monitoring HV dryer temperatures. This year more pets have died in a tragic, uncalled for heat related accidents. Some are drying-related, some are temperature related, some are pets left in hot cars or outside on days that are too hot with no water or protection from the heat. It SHOULD NOT be happening at all but it happens all the time. Unfortunately there are no solid statistics on how often it happens, but even ONE death is way too many and the madness needs to stop! I want to start by sharing my story. About 15 years ago I had a Lab mix in my shop for a shavedown. All went well. Dog was well-mannered. Easy groom. No issues. He went from our place to the vet clinic for shots and an exam. No issues were found according to the vet records. Fast forward three days and I get a call saying he has a sore on his hip and they are taking him to the emergency vet clinic. He was seen and treatment prescribed. Several days later I get another phone call saying the dog had a severe thermal burn and it was spreading as tissue died! Well, I was in shock as to why they were telling me this when I don’t have a dryer with heat. I knew this did not happen in my shop. It had to have happened at home or at the vet clinic. I knew when he left my shop he was fine. The vets could not give me a definite diagnosis, but the dog was undergoing burn therapy, including daily scrubbing of necrotic tissue and skin grafts. The vet bill 15 years ago was over $4,000. Long story short, I refused to pay any vet bill without proof we had caused the injuries. I got sued! What began was my investigation into how dryers work and the most efficient dryers to have in our salon. I spent hours talking to the people at Sahara Dryers and other groomers. I already knew that fans worked better than most other dryers, but this study made me much more determined than ever to never use a heated dryer. I have used this knowledge to write numerous articles on this subject and preach heavily on the safety and effectiveness of cool air dryers. I firmly believe that no pet should ever die from being groomed. There is no reason for animals to die from heat! I ask every single groomer who still uses cage dryers this question: “Would you leave your dog in the car with the windows rolled up in summer?” You always get a horrified look and an adamant, “NO!” Yet many groomers continue to use heated dryers pointed into closed three-sided cages or Vari-Kennels. In my eyes there is no difference between the two. I have done testing with a stand dryer pointed into a cage in a cage bank and watched the temperature rise to over 120 degrees Fahrenheit in less than 5 minutes. Scary to think that in some grooming shops or vet clinics there would have been a dog in that cage! I have reposted in my blog several articles I wrote in the past few years to help educate you on this serious veterinary public health concern. By the way, the case against me was resolved in my favor. It turns out that the original diagnosis was a vaccine abscess. How that got turned into a thermal burn is beyond me. I have no doubt many cases of deaths or serious injuries occur monthly every where around the world, mostly due to people who don’t use equipment carefully and properly. My experience taught me a lot because I was trying to protect myself. Many people do not have that knowledge. While common sense tells you not to allow dogs to overheat or to use dryers that are capable of burns, we all know common sense is not so common any longer. I do suggest manufacturers make dryers that don’t get too hot, put warning labels on their dryers and include owner manuals showing groomers how to safely use dryers. If these dryers were made for use on humans there would be a massive recall and warnings on the dryers. Because they are made for pets, there are none. It is sad but factual. If we are vigilant and educate ourselves and others in the dangers we can save lives! We are on the front lines, and as such need to make sure we protect as many animals as possible. Last year I wrote a blog on the unexpected death of a beloved pet in a grooming shop due to heat stroke. A group of industry leaders, including myself declared June 13, 2014 as Heatstroke Awareness Day. To continue this consciousness, welcome to Heatstroke Awareness Day 2015. 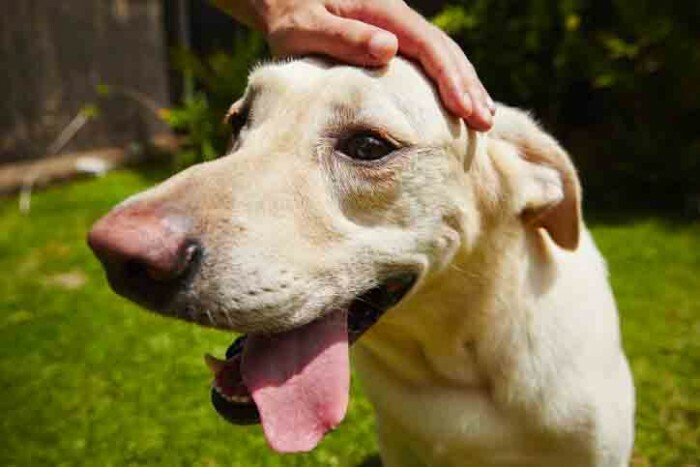 As the warmer weather is upon us, it is important to remember the how easy it is for a pet to suffer from heatstroke. None of us wants to injure or kill a pet in our care, so it is important to realize how this happened in the first place and make changes. Let’s make 2015 the year we don’t hear stories like this one. ”I left my baby in what I thought to be the capable hands of a well-respected groomer. A few hours later I got a phone call…I was expecting a call around that time to come and pick him up. Instead I had to decipher the words of a sobbing groomer as she explained that she had found Bugzy dead in the drying kennel. I was in shock. It didn’t seem real. “ recounts the tearful mom. 1. The drying cages were out of their field of vision. 2. Not regularly checking on pets while they were drying because they were out of their field of vision. Time is relative. You may not think more than 5 minutes has passed, when in reality, its been at least a half hour. 3. Can’t see the pet was in distress because the pet was out of their field of vision. Do we see the connection here? There was no one monitoring the pets while they were exposed to heat with little to no air circulation. How do you make a change? 1. Rearrange the grooming room so that the drying cages are in your field of vision. 2. If that is not feasible, then station someone in the drying area to monitor. 3. Set an alarm for 10 minutes, and visually check on each pet. 4. Mobile groomers are not immune to this this just because they do not cage dry. They are metal cans that heat up very quickly in warmer weather. The best safety tool I have is my Too Hot For Spot window temperature cling. It tells me how hot the interior is BEFORE I begin grooming. I know whether or not my A/C cab cool down the inside enough to work. Notice that I did not suggest just using dryers with no heating elements. Drying a wet pet with cool air can result in hypothermia. You still need to monitor that pet. Heatstroke begins when the pets’ body temperature surpasses 104 degrees. The factors that set the stage for heatstroke is when the temperature in their environment (cage dryer) becomes higher than their body temperature with little or no air circulation (cage), high humidity (heavy panting) and close quarters (cage). The risk is much higher if groomers cover cages with towels to speed up drying. This is the exact same scenario when people leave their pets in a hot car to go shopping. Signs of heatstroke include lethargy, heavy breathing and panting, bright red gums and tongue, vomiting and diarrhea. Heatstroke can cause shock, respiratory distress, kidney failure, and heart abnormalities among other complications. Damage can become irreversible once their body temperature reaches 106 degrees. Death follows. It is imperative that the pet receives medical attention before their temperature reaches 106 degrees. The only way to prevent this is with constant monitoring of the drying area. Minutes can make the difference between the life, quality of life, and death. Very young, very old, immune compromised, brachycephalic (dogs with pushed in faces), pregnant, and nursing dogs, as well as all cats are more susceptible to heatstroke. What can be done if heatstroke occurs? 1. Remove the pet from the hot environment! 2. Lower the body temperature by wetting with cool water. 3. Do not use cold water or ice water. It is counterproductive. It will shock the system and cause a thermal barrier. The pet will be unable to cool itself. 4. Contact a veterinarian for instructions. 5. Transport to veterinarian as soon as possible. Member of the pet grooming industry since 1961, Webmaster of PetGroomer.com and creator of Grooming Business in a Box.